Admiral Windows - Fascia/Soffits/Guttering, Windows/Doors/Conservatories based in Cowley, Oxfordshire. 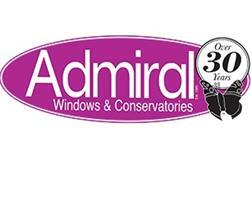 Admiral Windows have been established in Oxfordshire for over 30 years. During this time we have built an enviable reputation as a local business that cares. Our growing number of repeat customers bear testament to our philosophy of delivering high-quality results combining great value and attention to detail, together with a refreshingly courteous and ethical service. We bring a wealth of construction industry expertise - with projects to our name in schools, hotels and homes throughout the Oxfordshire area and beyond. We use only high quality industry-leading fenestration products from recognised British and European manufacturers. Each of our installations comes with an insurance backed guarantee. Whatever your needs, our quotation will be completely free, and it will come entirely without any obligation or pressure. Whether you are looking to replace your windows, have a new front door fitted, build a new conservatory or replace your rotten roof fascias, we will provide open and honest pricing, together with a sincere friendly and conscientious service. Products and services offered by Admiral Windows include supply, fitting and repairs to windows, doors, conservatories, orangeries, porches, guttering and much more. Contact Admiral today for a free quotation or use the green ‘request callback’ button and we will return your call as soon as we can. Alternatively, you can email us: [email protected] or visit our website www.admiralwindows.co.uk. You can also visit our conservatories show-site, which is located within Wyevale Garden Centre, close to the Chilton exit from the A34. Abingdon, Aylesbury, Banbury, Bicester, Brackley, Buckingham, Chipping Norton, Didcot, Faringdon, High Wycombe, Newbury, Oxford area, Reading, Swindon, Thame, Wantage, Witney and surrounding areas.